Union Connect Group Account Director Caroline Cairns offers a beginner’s (and expert’s) guide to the wonders of experiential marketing. That probably caught your attention. This same approach is leveraged by brands through experiential engagements. It’s any form of marketing which targets the senses; be that sight, hearing, smell, taste or touch. An immersive interaction creates (when done well!) a unique experience between the consumer and the brand, in a relevant environment to provoke a positive and memorable impression. These ‘experiences’ can take place anywhere: at events, trade shows, in shopping malls, in the street., at exhibitions, roadshows, or pop-ups. They can be executed to support a sponsorship, a brand launch, a public sector behaviour change campaign or a competition. They often use interactive technology; such as augmented or virtual reality or gamification, to provide even deeper engagement. Why is this interaction important? Consumers today are much savvier and more aware when they are being marketed at. When I say ‘at’, I refer to the passive bombardment of traditional marketing channels. Audiences today increasingly appreciate the ‘here and now’ and crave authentic and relevant experiences with brands. Whilst many brands create their own content for distribution digitally in the hope it will go viral, very little of it actually does. Research shows that 78% of people only listen to peer recommendations, so it’s clear that harnessing powerful brand experiences is increasingly important. For a start, they make customers four times more likely to become advocates for the brand. Social media has become a cornerstone in all kinds of marketing, but experiential has made it an even more powerful tool. The propensity of people to take and post photos gives brands a way to access user-generated content, opening valuable peer-to-peer endorsements and growing the whole experience. In the early days of experiential critics would condemn its lack of scale and measurable ROI, but with this addition of social media, experiential has proven it can reach the ‘many’ rather than just the ‘few’. 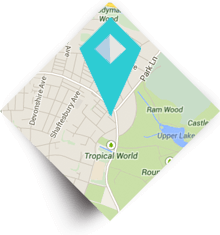 Experiential grabs attention and, by definition it’s participative and fun. (Who doesn’t like a bit of fun to punctuate our daily lives?) Research by EventTrack showed that 74% of people had a more positive brand perception after an experiential event, and 65% purchased the product or service being promoted. As many as 70% of event participants end up becoming regular customers. The creative possibilities with experiential are limitless and ideas can often be scale-able to work within particular budgets and requirements – as long as the idea works to create an engaging experience. McDonalds created buzz around a record-breaking summer in Amsterdam. They developed a heat sensitive container that opened automatically when the temperature hit 38.7 degrees (beating the existing record of 38.7 degrees), providing 100 tubs of free McFlurry’s to help people cool down. McDonalds experiential posters in Amsterdam. Topshop’s flagship store in Oxford Circus has regularly deployed a combination of experiences, stunts and pop-ups to engage and delight its audience. 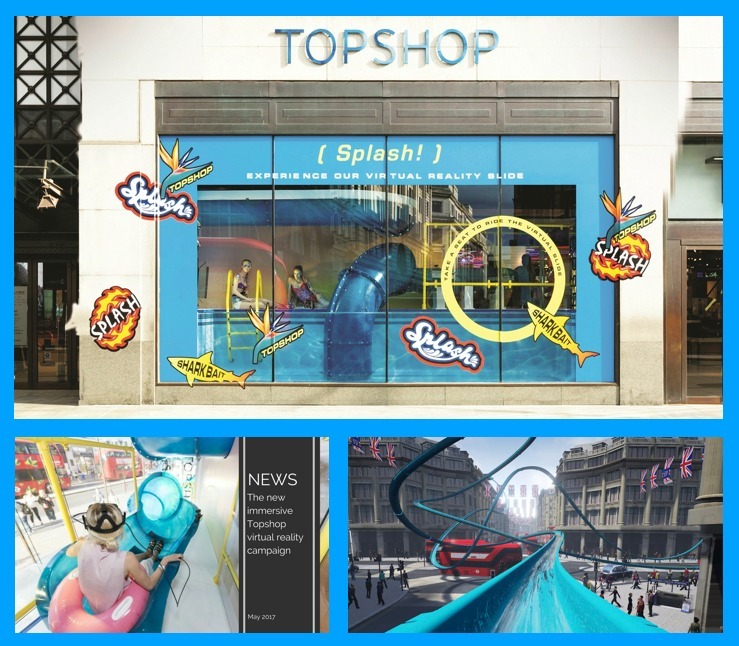 It recently developed a summer-themed activation where it offered an amazing VR experience around Oxford Street combined with a real in-store slide. In addition, the store was filled with the scent of sun lotion and a unique Topshop Snapchat filter was created to increase the all-important social share-ability. Topshop’s flagship Oxford Circus store uses a VR experience to great effect. Volkswagen developed an activation designed to highlight their brand positioning, but interestingly their experience had nothing to do with cars. Instead it promoted the sense of fun and enjoyment gained from driving their vehicles, and in doing so built a positive brand interaction. 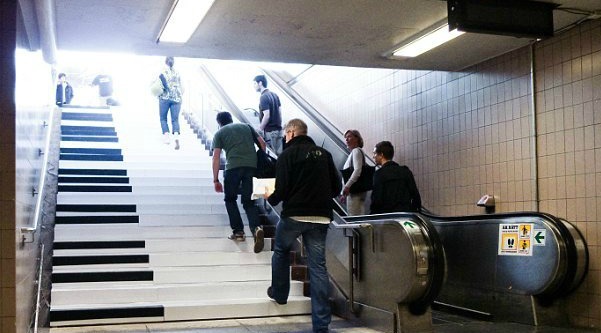 VW built a piano out of a set of stairs in a German subway station then filmed people playing on it. It was a success with 66% more people opting to take the stairs than usual. Volkwagen’s piano installation. Reminiscent of Tom Hanks in ‘Big’. For Scottish-based dental tech start-up Calcivis, Union Connect developed a trade show stand which cut through the noise of bigger dental brands. This experience demonstrated the technology and benefit of the Calcivis product. This product enables dentists to see, for the first time, active tooth decay at a stage where it can be reversed – thus removing the need for fillings. We designed a stand which had empty walls and empty plinths to draw attention from delegates. Augmented reality was used to bring these plinths to life and demonstrate the product in action as well as linking to the brand USP; the ability to see what isn’t visible to the naked eye. 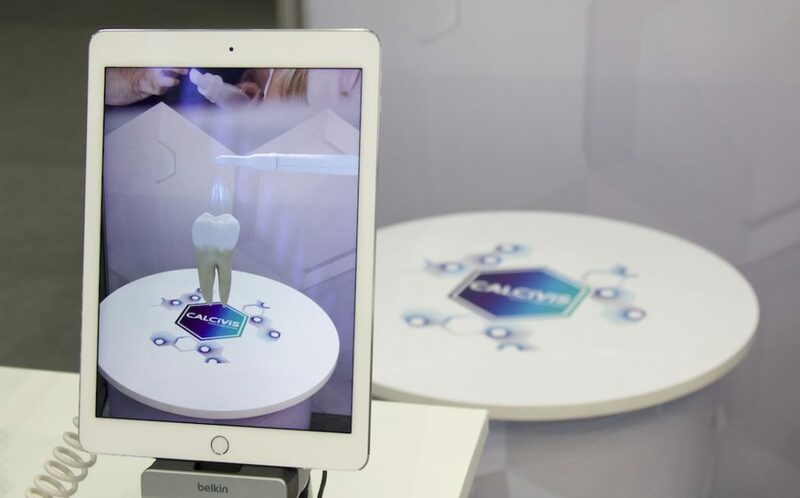 Augmented reality for dental technology start-up Calcivis by Union Connect. 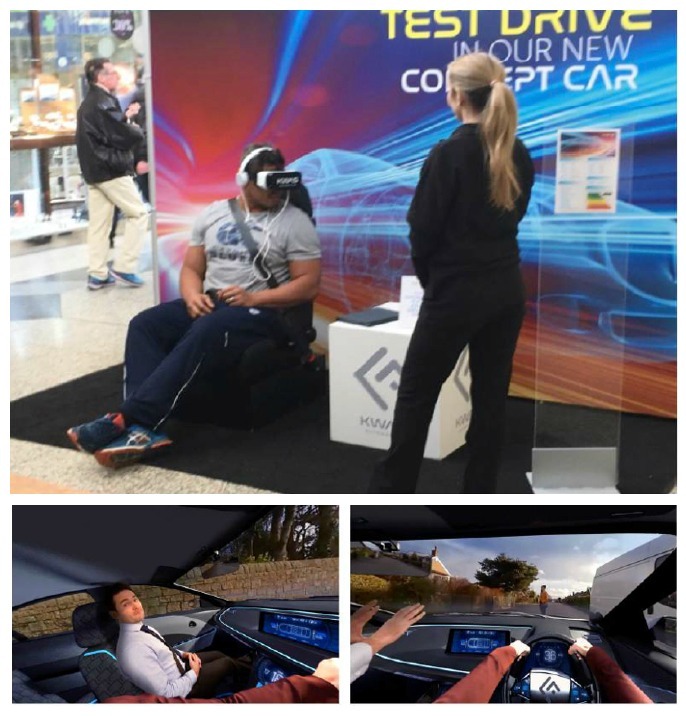 For Scottish Government and Road Safety Scotland, Union Connect created a ground breaking VR experience – based on a fake new car brand, the ‘Kwasi’. People were invited to a VR test drive – only to be surprised that they actually were getting a message about the dangers of speeding in a 30 mph zone. (Participants do get a nasty shock!) The campaign’s innovation was rewarded with numerous awards. View the experience here. Union Connect’s award-winning VR experience for Road Safety Scotland. Experiential doesn’t just rely on fun for impact or to promote behaviour change. Misereor, the German international development charity, used the channel to encourage donations in a way which helps to overcome a major giving barrier – lack of awareness about how donations actually help. Their experiential activity showed how a donation made in immediate impact via an interactive screen which displayed accepted credit card donations. When donors ran their card through the swipe they would either be slicing bread or untying a child’s hands. The slicing of the bread represented a daily meal for a family in Peru, and the cutting of the ropes meant that imprisoned children in the Philippines would be closer to freedom. German charity Misereor’s experiential poster – where donors could instantly see the impact of their charitable giving. These examples demonstrate the ways in which the role of experiential continues to increase in importance and scope, particularly as audience expectations increase and technology advances. Investment in experimental marketing has risen +5.5% in Q1 2018, bucking the overall trend in marketing (IPA Bellweather Report), with only digital marketing also seeing an increase in spend. The fact that marketers deem experiential worthy of increased spend, when it declined in other disciplines in a time of relative economic uncertainty, shows that it will be a key marketing priority going forward. It can be built into brand strategy and fully embraced as a creative opportunity. Union Connect have specialised in developing engaging activations for over ten years, and can help your brand navigate and enjoy all of the benefits of experiential marketing. 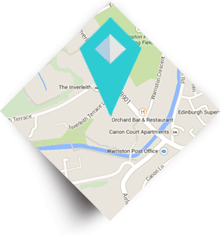 If you would like to discuss experiential in more detail, contact Caroline at caroline.cairns@union.co.uk for a chat.